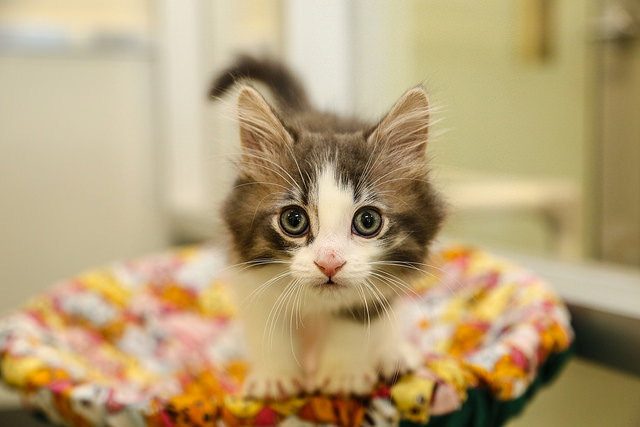 We're just a few days away from what is the busiest day of the year at the Ottawa Humane Society: Canada Day. Why Canada Day? There are a few reasons: First, Canada Day is a very busy day helping dogs brought into our care. This is mainly because of the many fireworks displays on July 1st: the big one on Parliament Hill, and the many smaller ones throughout the City. 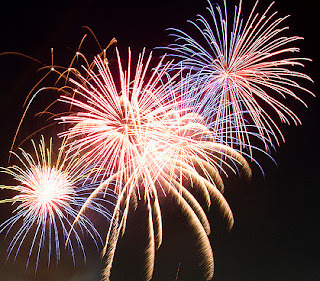 And the 150th celebration means this year there will be more and bigger fireworks displays than we have seen in 50 years. The thing is, most dogs are terrified of fireworks. Even the best trained, never-wanders dog can bolt in fear during fireworks displays and end up at our shelter. Second, late-June, early-July is our peak season for animals surrendered to us by their owner. As holidays approach, and vacation plans develop, sadly, many decide that their dog or cat doesn't fit with those plans. The result? 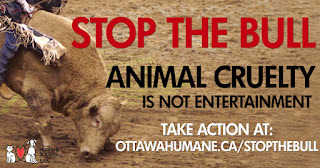 Hundreds surrendered to the OHS each June and July. When added to an already busy time with many stray animals requiring our care, we can see as many as 40 dogs, cats, puppies, and kittens admitted to our shelter every single day! Keep pets indoors Canada Day. Make sure pets have a visible collar and tag and a permanent microchip implant. Plan for holidays for your pets. Help others care for their pets when away. Ensure all pets are sterilized. Adopt a homeless animal at the OHS. From all of us at the Ottawa Humane Society, have a safe and happy Canada Day! and neutering and will not contribute to pet overpopulation. Traditionally, the OHS and most, if not all, humane societies had a pretty deep "line in the sand" between "owned" animals and those that were homeless. That is, our message to owners was that you are responsible for your pet — period. About fifteen years ago, we started to relax some of our views, in particular on the issue of euthanasia. We used to push back, saying you should see your veterinarian, who has been caring for your pet for its lifetime, for this final act of kindness. But the number of calls regarding the urgent need for euthanasia began to increase, with desperate and cash-strapped families telling us they had been quoted in the many hundreds of dollars, a euthanasia they simply could not afford. Further, many pets in need had never seen a vet. So, now we will perform needed euthanasia, for a fee that is affordable in situations where an animal is likely to suffer otherwise. Since then, our thinking and the thinking of the progressive parts of the humane movement has continued to change and I hope expand. In our research for the new OHS strategic plan, we came to the reality that "owned" animals need us too and that the old line in the sand was blurry. It became clear that the biggest, and most important need was for accessible, subsidized spay/neuter. 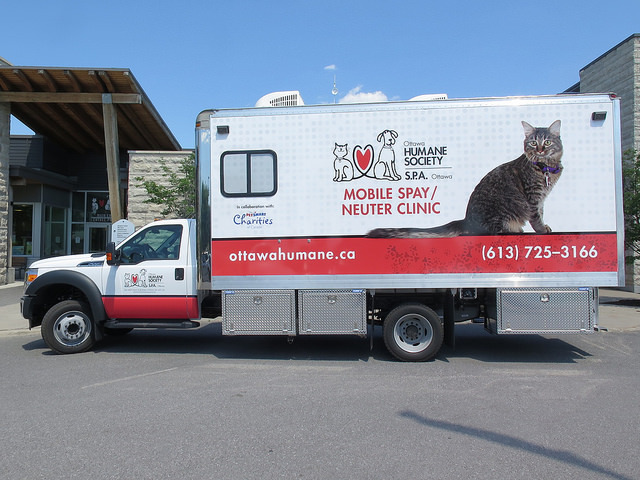 And so, we launched our mobile spay neuter program and vehicle so that low-income families could have their pet sterilized. I have heard many times, by the way: "People who can't afford pets should not have pets." Okay, and a part of me agrees. But here is the thing: people who can't afford pets have pets. It is not okay if our judgments allow those pets to suffer. We can at least ensure that pet has the health and behavioural benefits of spaying and neutering and does not contribute to animal overpopulation. Education is a part of the program, and we hope that people will leave with not only a sterilized pet, but also with better knowledge about caring for her. In the coming months and years, our strategic plan calls for further programs to assist pets in our community, not just in our shelter. We now know the social, mental and physical health benefits of pets in our lives. If we know this, then we also know that keeping healthy pets in families has a benefit for our whole community.